On Friday, November 30, 2018, the Scotch Plains-Fanwood School District hosted 22 school administrators from China representing the Wenzhou School District. The visitors were visiting the United Stated through a two-week program with Kean university. During their stay in the United States, they participated in a variety of workshops at Kean University and visited three local school districts, including Scotch Plains-Fanwood. They began their visit with a welcome from Superintendent, Dr. Margaret Hayes and the high school’s Mandarin teacher, Li Salewski They were also treated to a performance by the high school’s acapella group, “The Sensations.” High school students in the Mandarin program were then charged with the task of acting as tour guides for the Chinese visitors for the remainder of the day. The first stop of their visit was Scotch Plains-Fanwood High School where visitors were able to visit a variety of classes and ask students about their lives as high school students. After touring the high school, the Chinese visitors were then able to visit both Park Middle School and Terrill Middle School. At both middle schools, they were able to visit classrooms and tour the facilities. At noon, administrators from Scotch Plains-Fanwood joined their Chinese counterparts for lunch and conversation about their shared experiences. After lunch, the group of visitors were divided into three groups that were each able to visit one of the five elementary schools in the district. Staff and students at McGinn Elementary, School One and Evergreen Elementary welcomed guests into their classrooms with friendly smiles and greetings in Chinese and English. 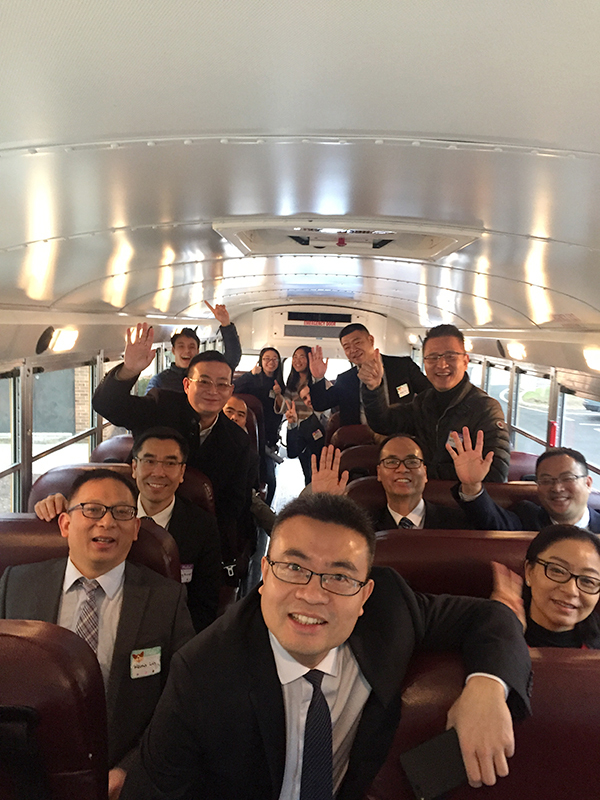 At the end of the day, the Chinese school administrators shared that they enjoyed being able to experience a typical American school day and felt extremely welcomed by the students, staff and administrators of Scotch Plains-Fanwood. Both groups hope to establish a connection that will lead to a future intercultural partnership to benefit students in China and the United States.